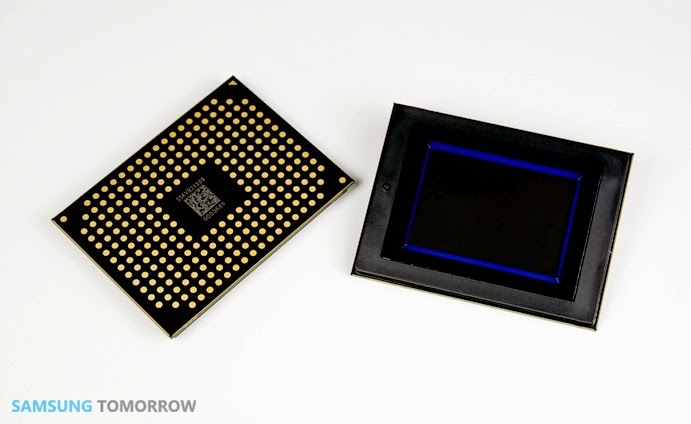 Business Wire, Samsung Tomorrow: Samsung officially announces its 28MP APS-C sensor. Currently in mass production, the new S5KVB2 uses 65nm copper process, while most of the other large sensors rely on 0.18um aluminum techbnology. The 65nm process enables lower power consumption, less heating and lower noise. The pixel size is 3.6um. Samsung says that BSI technology "improves the light sensitivity of each pixel and increases light absorption in peripheral areas by approximately 30 percent, resulting in crisper, sharper images compared to a conventional front-side illumination (FSI) pixel-based imager." Very interested in seeing how this one performs. It's quite pixel dense, I do wonder how much improvement the BSI APS-C could bring? I wonder if it uses the VTG and DTI "isocell" technology they presented in February. That really would be impressive. In any case, nice job you guys! If I remember correctly they sad it is "isocell" tech in this new BSI sensor. My Answer: They reduced the Well Depth, and thus (with the much smaller design rules) the need for isolation. Jay Kelbley/Samsung Electronics: "... Well, and you don't need as much material because the well depth is so much shorter as well. That being said, this isn't an ISOCELL process, so we're not putting in a reflective side layer which we don't need, again, because it's the short well depth.". PS: You know more about this than me, just proving the Links. Thx. I think the marketing guy is a bit confused on things...that is referring to thickness vs. aspect ratio of the pixel at times, but the "not using" ISOCELL statement was declarative. Thanks for finding this and responding to this now-ancient thread!